If you are the partner of a graduate student, we hope you will always feel like the valuable member of the Dartmouth community that you are. Relocating lives and families to the Hanover area, in support of your partner, can pose difficulties and be isolating. The Office of Human Resources has resources for families seeking child care, including links to the Dartmouth Child Care Center - the campus owned childcare facility. There is also a cross-campus Working Moms Group which gets together once a month for lunch to discuss all types of things ranging from pregnancy, potty training, allowances, child care options, bedtime routines, food, summer camps, etc. Contact Stephanie Morgan. There are currently seven lactation rooms across campus. Reach out to the Graduate Student Council for further support and referrals. What do you wish you'd known when arriving at Dartmouth as a graduate partner for the first time? Arriving without a job was difficult, and the job search proved frustrating at first. Be patient, though. Great, interesting jobs that you might not have ever considered are out there! I underestimated the importance of adaptability and patience. Both are necessary when making such a significant life change. Really consider what you need from your housing situation. There are many options in the area, but you need to know the environment that's best for you. Sometimes smaller and more expensive is better, if it makes you happier. You'll need to work at creating a new social set. There is no significant, well-established partner community. Get out there and meet new people! If you don't, being a grad partner can become a very lonely and isolating experience. What suggestions do you have for graduate partners that they might not have otherwise heard? Make sure your partner forwards you emails about events happening on campus to which partners are invited. And, even if your partner doesn't want to attend events of interest to you, go! Become involved in the community beyond Dartmouth. 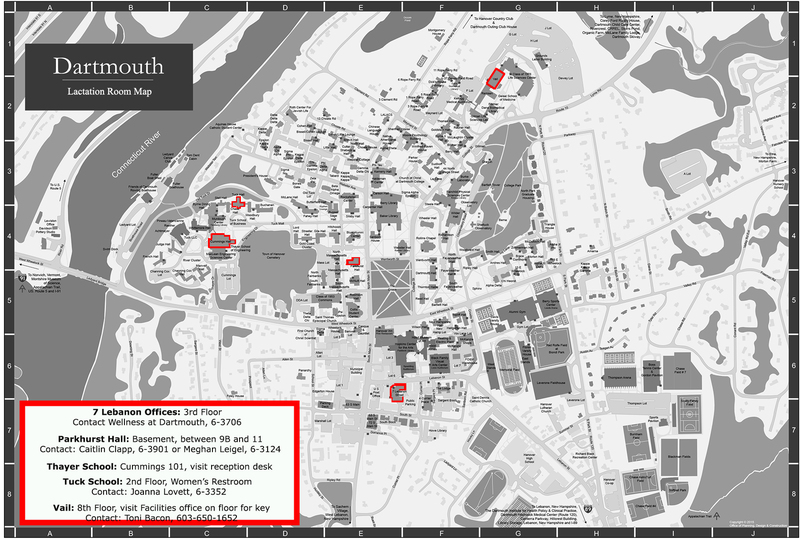 Remember that you live in the area now, and all your friendships and involvements need not be affiliated with Dartmouth. There are wonderful community resources available wherever you choose to live. Know that everything in downtown Hanover closes early. So, plan ahead! What quirks about Hanover, Dartmouth or the Upper Valley are important for new partners to know? There is tremendous access to art, music, film and culture at the Hopkins Center. Take advantage of that while you're here! The Hood Museum is wonderful and it's free! Sure it's cold here in the winter. But, you can make the best of it. Try outdoor activities during the winter months and get out and meet other people. The Advance Transit bus system is really handy and it's free! If you have a question, please contact the Graduate Student Council. This policy is designed to assist a graduate student, who is the primary child-care provider, immediately following the birth or adoption of a child.